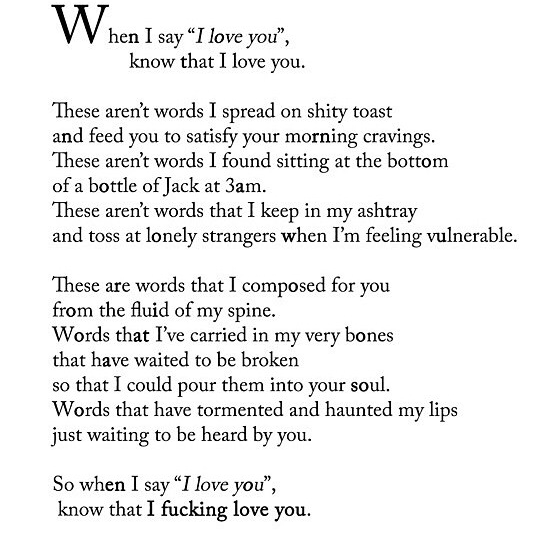 That is exactly what I want the sentiment behind “I love you” to mean. I automatically have negative connotations when someone says it after drinking or just as something to placate my mind. Me too! People toss is around like it’s nothing. Hi, I can relate, because I feel this way everyday with my man.